Echoes From the Underpass is a cross-media project based at the Inter Arts Centre in Malmö, Sweden. 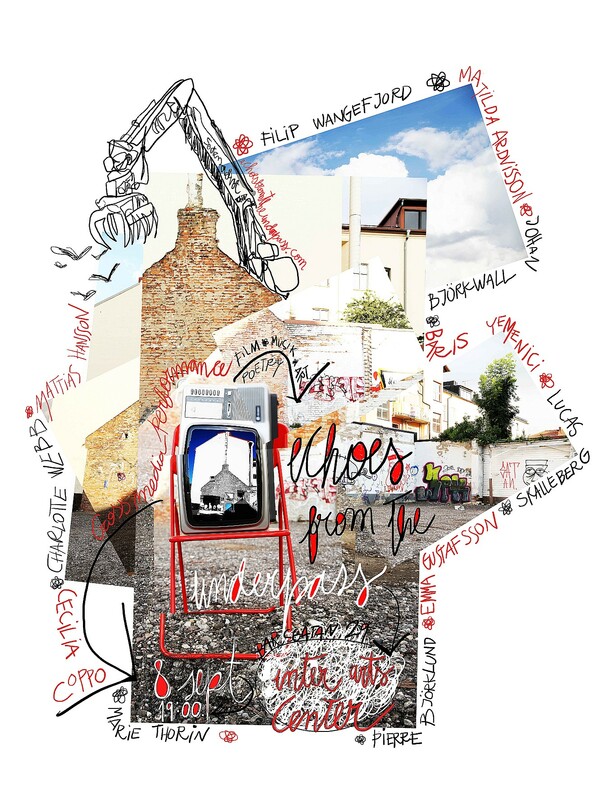 Working across the boundaries of genre, our aim is to capture the cacophony of voices, sounds, images, textures and sign-systems that make up the urban experience. All the artists work according to a ‘Pass This On’ process, whereby original compositions in one media form (film, writing, music), are passed on to an artist working within another, and reinterpreted. The process produces a complex melding of artistic voices, and varied visions of the spaces in which we live.